Since it was first published in 1897, this infamous Gothic horror novel, which brought its author international acclaim, has spawned a global following, inspiring hundreds of films and setting the seaside town of Whitby in North Yorkshire on the map forever. A sickly child, Bram Stoker (1847-1912) developed a fascination with the supernatural during his enforced confinement. He went on to become actor Henry Irving's business manager at the Lyceum Theatre in London, yet continued to pursue his literary interests. His iconic villain takes his name from Vlad the Impaler (1431-76), also known as Vlad Dracula, whereas the vampire's appearance and powerful personality is modelled on Irving. 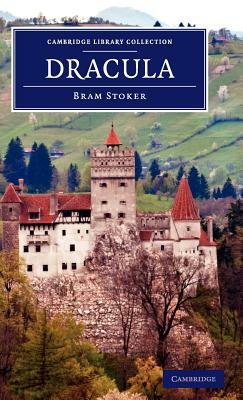 Famous for its epistolary form, Dracula went through eleven editions during Stoker's lifetime. Succeeding generations continue to be enthralled and thrilled anew by the tale's dark terror and deeply unsettling undercurrents.